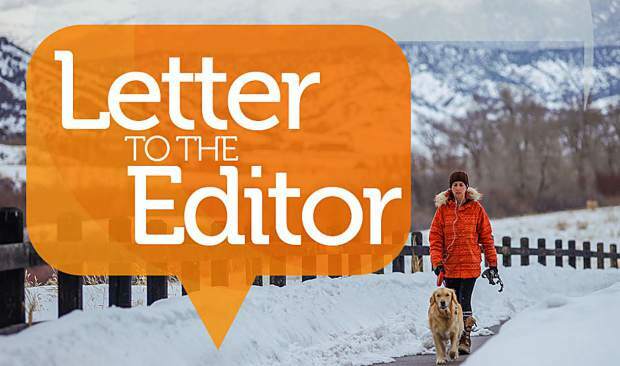 In response to the most recent Vail Daily letters to the editor, there seems to be an unfortunate disconnect between some of our snow boarders and skiers . Our family are skiers and have had a home in Vail for 18 years . As boarding increased in popularity, we skiers had to share more of the slopes with them and it has taken some time to get used to our fellow downhill enthusiasts . 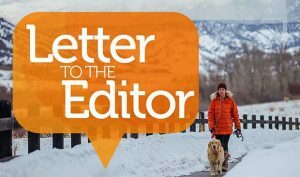 In attempting to try to accommodate and understand this alternative to skiing, I have been questioning snow boarders on the lifts about their sport , the challenges and what they are taught to handle their “blind side”. I’ve learned a lot from them and have made some accommodations to my skiing to help me enjoy the same slopes as they . 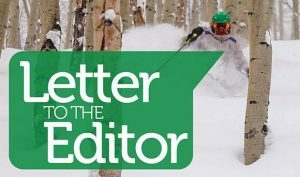 Skiers are expected to be responsible for checking over both shoulders before turning . A question I’ve asked boarders is “what do you do about your blind side when needing to turn?” Answers I’ve received are “well , you kind of sense where the people behind you are”, “can’t see much , especially with goggles” , and “ I guess it’s hard to see”. Another question I have asked is, what are you taught to do in covering your blind side when turning ? The answer has been, “I wasn’t “ or “ never had a lesson from a teacher.” Not one had been taught to take the responsibility of covering it. To make it safer I try to ski to the side the boarder is facing and not on their “blind side “ , especially when passing them , but what can be done by them to make things safer for all? I presume ALL using the slopes are expected to follow the Skiers Code , which makes us each responsible for checking uphill before turning . Perhaps we need to rename it the skiers / boarders code???? There is no doubt boarders have a blind side. How about requiring using one’s arm to signal when turning to the blind side, so those behind can be prepared ? 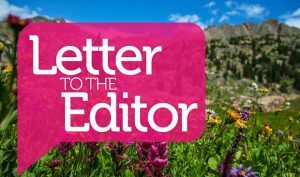 We all love Vail, the snow covered mountains , and the life it offers us. We all certainly can live together congenially with awareness, respect , and concern for one another’s safety. Both need to try harder and eliminate our “blind sides”.